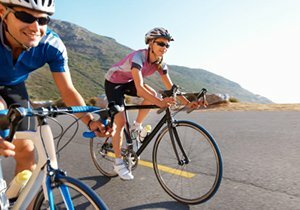 Bicyclists of all levels enjoy the fitness and adventure of our San Diego cycling destinations. From a safety perspective, your brakes are the single most important piece of equipment on your bike. This is especially true when riding on hilly terrain where you need to be able to control your speed. Likewise, cycling in the city requires that you have good brakes. Because of this, bicycle maintenance and, in particular, brake maintenance, is of the utmost importance. 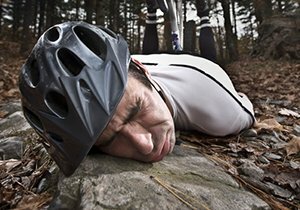 In a San Diego cycling accident between a motor vehicle and a bike, the bike will lose every time. 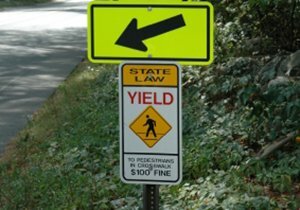 Serious injury and fatalities can result from these accidents. When riding in the city, you need your bike to be able to stop as quickly as possible–so maintain your brakes. It is important to check your brakes frequently and adjust them as necessary. You do not want your brakes to be to be too loose because this affects stopping power and speed. Ideally, your brake pads should be as close to your rim as possible while still maintaining a slim, visible gap between the rim and the brake pad. If there is too much of a gap, tighten your brakes. Most cantilever and center-pull type brakes have an adjustment dial on either the brake itself or the brake lever on your handlebar. This dial allows you to make a quick adjustment to tighten your brakes. Also, center your brakes. You want to maintain the same amount of space between the rim and the right and left brake pads. Most brakes have an adjustment screw on the brake that moves the pads right or left, allowing you to fine-tune this adjustment. Periodically, remove your wheel and inspect your brake pads. Most pads have a series of grooves in them that indicate wear levels. If your pads are completely smooth, you have worn out your pads and they need replacement. When you are inspecting your brake pads, clean them and your rims with a damp rag. Disk brakes are becoming more common on many bike models. In general, maintenance of disk brakes is more complicated and visual inspection is difficult because the brake pads are part of an internal design. One of the best clues for knowing if your disk brakes need work is sound. If you hear a grinding sound when you brake, it may be time to replace your brake pads. Unless you are a fairly knowledgeable bike mechanic, your best choice is to have someone at your local bike shop work on your disk brakes. 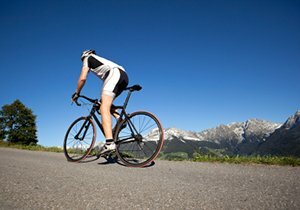 Stay on top of brake and bicycle maintenance. You do not want to find out your brakes are not working when you need them most. Sometimes you take all precautions and still end up in an accident. 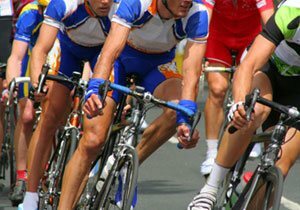 If you suffered injury or property damage in a cycling accident due to a negligent motorist, contact attorney Dudek for a free no cost consultation. 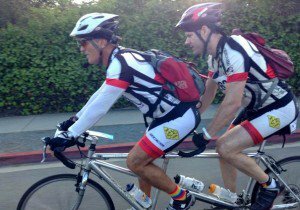 San Diego bike accident attorney Frederick M. Dudek is a bicycle commuter with over 35 years of cycling experience in San Diego and throughout California. He offers this resource to you so you can safely enjoy biking.